Happy Monday! Yesterday was Paul’s birthday and we had the best day celebrating! He is so laid back and didn’t want to do anything big. He even came to me one evening and was like, “I will love it, but please don’t throw me a party!” My mom always celebrates birthdays really big so it’s so funny I married someone who doesn’t! I kept it really simple and made him a breakfast casserole because he loves those things. We went to church, had some time at the pool, got snow cones, took a nap, went to my parents’ and had a family dinner. I told him he can have a laid back birthday but I have to do something special for his 30th whether that is a trip just the two of us or a bigger family dinner! He threw me a huge surprise party this year so I feel so guilty not doing the same for him! haha! 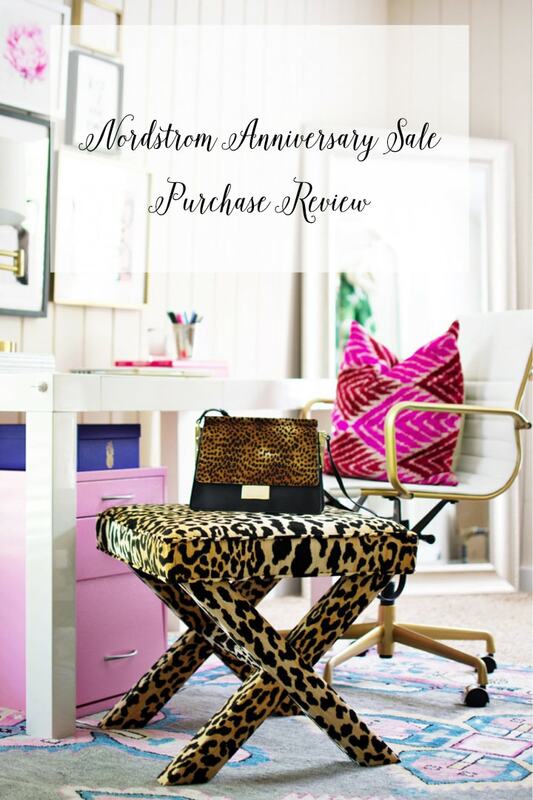 Today I wanted to share my Nordstrom Anniversary Sale purchases and their fit and my original purchase thoughts! Let me be very honest. Because I’m a blogger and part of my job is to share sales and blog size/fit for y’all, I’m not always impressed with selections during sales. I will order a bit of everything to see and send back whatever doesn’t work. This year that’s NOT the case. 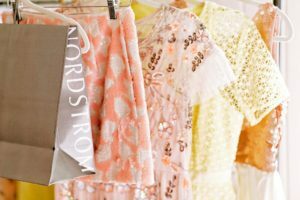 I don’t know if Nordstrom just spent a lot of time accurately describing the fit of items or if it’s just a good selection but nothing is getting returned this year. NOTHING! haha. First up, this open cardigan and jeans! 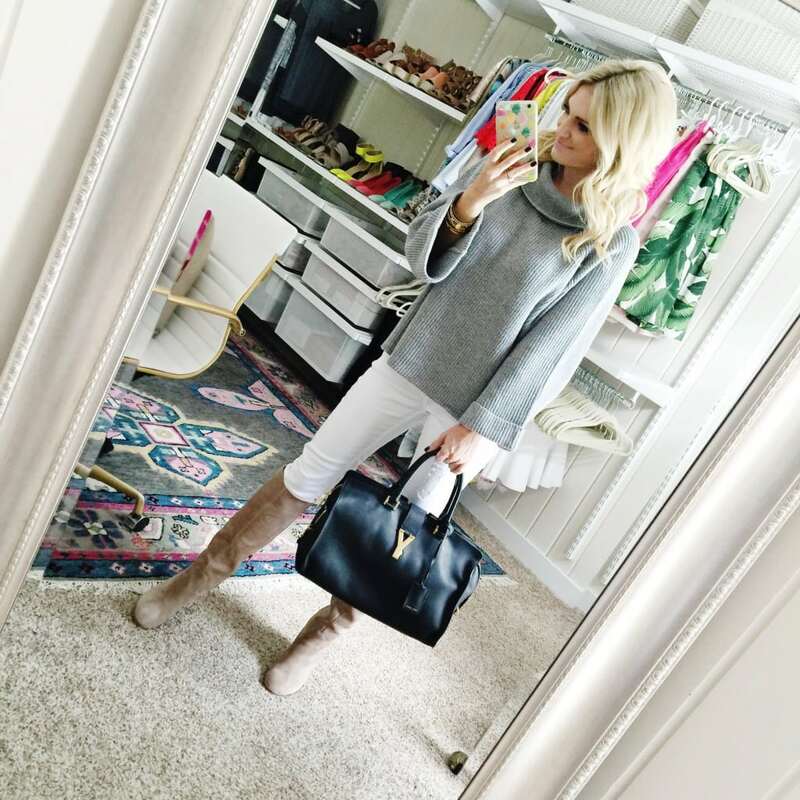 These jeans and boots are part of the sale and I wore them with all the tops so you could see how versatile they are being styled! I’m not a huge fan of cardigans like this style. They come out every fall and winter and just remind me of an Olsen Twin mumu. It never feels flattering, but this one is a game changer. It’s SO soft and I actually felt like it gave off a soft feminine shape. I paired it with these jeans that run a little big! I got my normal size but they are a bit big in the legs so if you are in between sizes go down a size, but they aren’t big enough that you would go down a size if that isn’t necessary. And these boots fit perfectly true to size! I’m obsessed! This sweater is selling out SO fast! There are only XS in came left, but they should restock soon! However, it comes in 3 other colors and I’m definitely ordering the black! This satchel is on sale and would pair beautifully with it! I ordered a size small in the sweater because I wasn’t too sure the fit, it fits great but I’m normally a 2/4 and probably could have gotten an XS if you want to! 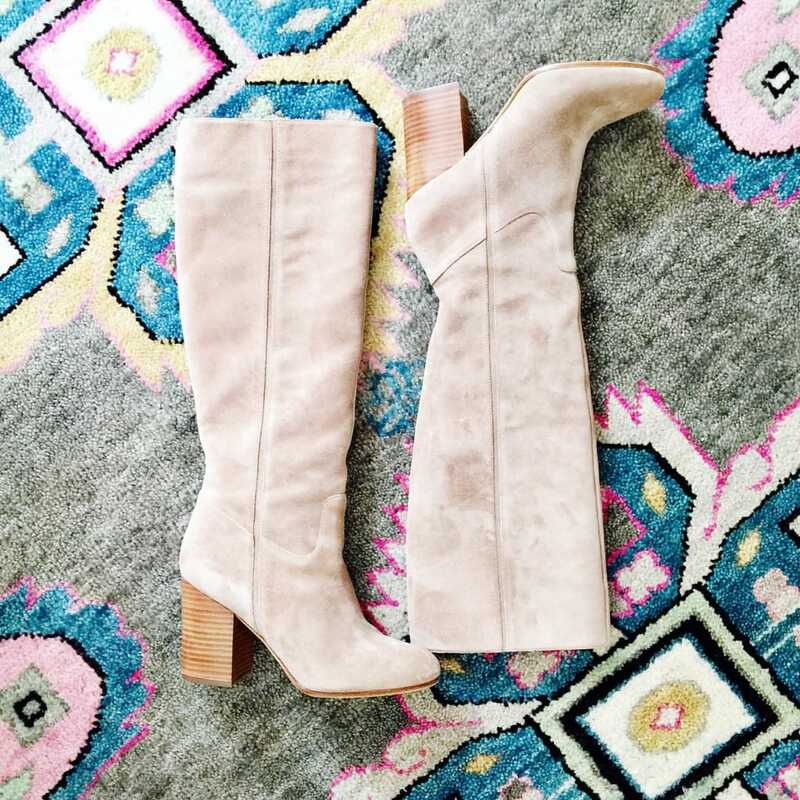 Boots are probably my favorite item to stock up on during the NSale. Boots are SO expensive and living in Texas it can be frustrating because we don’t get a lot of use out of them each year. They are appropriate from the week of Thanksgiving to end of January and then it gets humid again and boots are not made for walkin’. 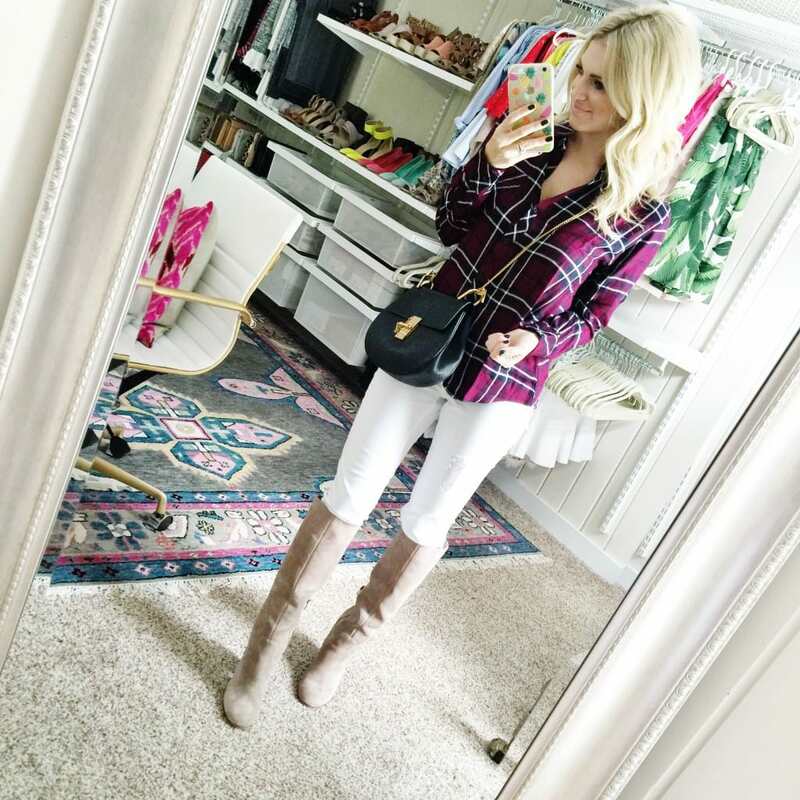 There are so many great pairs on sale I’ll share my favorites below- like Tory Burch boots for $299! This sweater is probably my favorite NSale purchase! 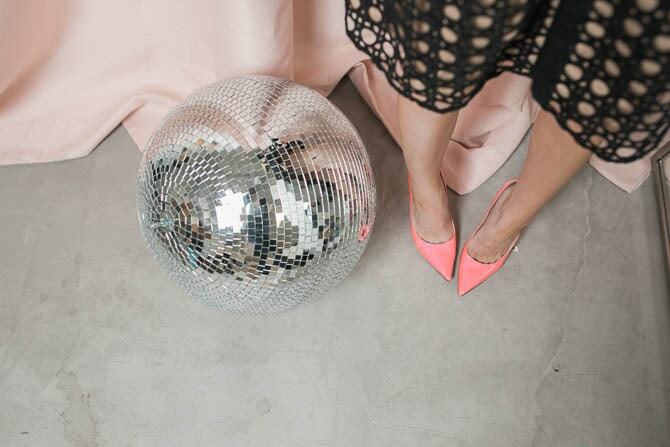 It’s true to size and the best boxy thing you’ll ever wear! Normally when I hear the term boxy I shudder and think, “Ooooh Britney Spears circa 2007.” Just something not too flattering! But this my friends is how all boxy items should be. It’s so flattering and you don’t feel cut off mid section at all! To be blunt, this sweater looks expensive but it’s just our little secret it’s only $45. If you prefer to buy staples and not trendy items on sale, Rails is your brand! Rails plaids are the best plaids you will ever wear. #notsponsored At first you think, “Ummmm….who spends that on a plaid? Don’t they sell them at Target?” Then you try it on and you think, “I’ve been wearing plaid wrong my entire life.” These are cozy and soft and have the most flattering shape! I have a pretty short and square torso. I definitely have a gymnast body that’s more muscular and don’t have a a defined waist, but when I put on a Rails plaid I feel like I do! 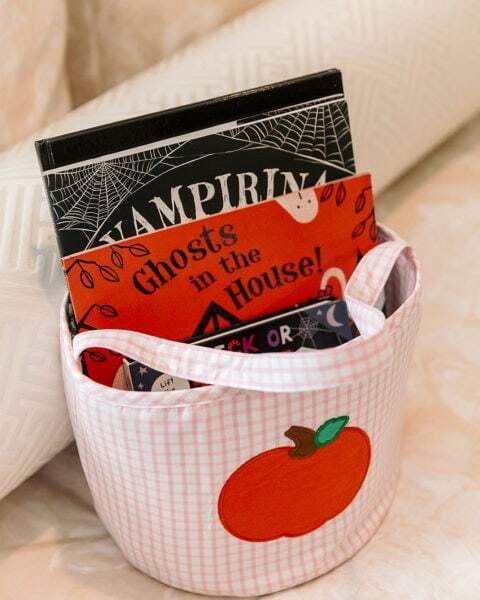 These are on sale [and they never go on sale!]. My current color is out of stock but there are 2 more in stock that are stunning! They fit true to size! 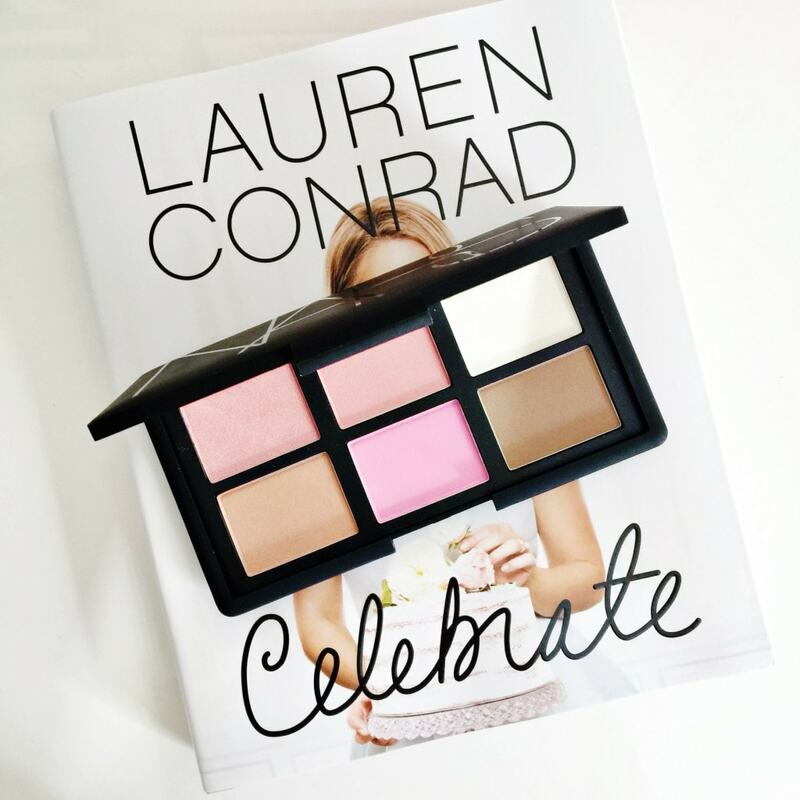 Some version of a Nars palette comes out every NSale and they are one of the most raved about items. You get plenty of product and all the makings of a perfect contour! Nars blushes are universally flattering and known to blend in perfectly with any skin tone. This is such a great gift for a birthday a bride or a bridesmaid! I’m doing a contour post next week featuring this to show you how you can easily contour in one minute! And last but not least, this little guy! I love bags that are this size because I don’t feel like I’m smuggling goods as I walk into church [sometimes a tote seems a bit much!] but it also needs to fit my wallet and 14 lipsticks. I loved all the shades this bag came in but treated myself to the leopard because #youonlyliveonce. 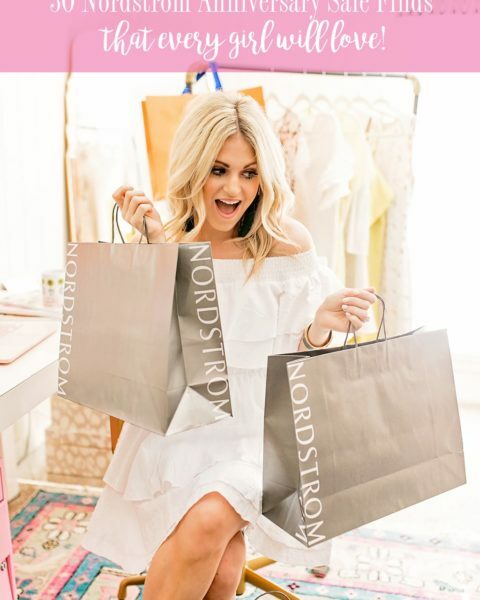 I always like to do a few rounds of orders with the Nordstrom Sale just so that my blog posts items can be in stock for you all, so below I’ll share what’s in my cart for the next round! If you’ve shopped what did you treat yourself to?! 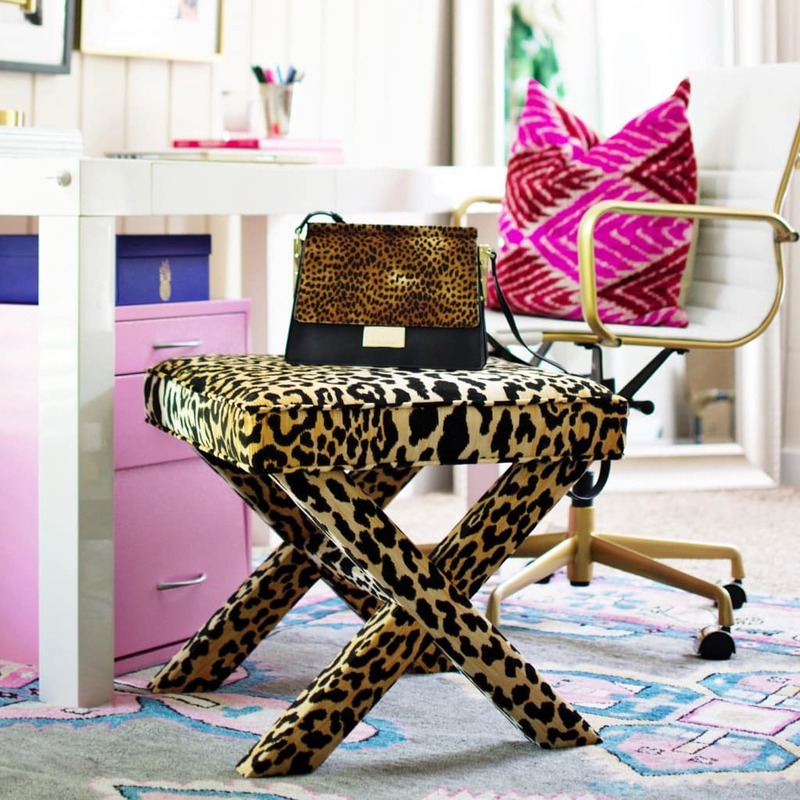 I have had that leopard bag sitting in my cart since the first day of the sale. I’m definitely a “purse hoarder” but think this one is SO different from all the ones I have! I love the sweaters you got! Great round-up! It’s helpful to see many of my favorites styled in photos! I love all of your choices! 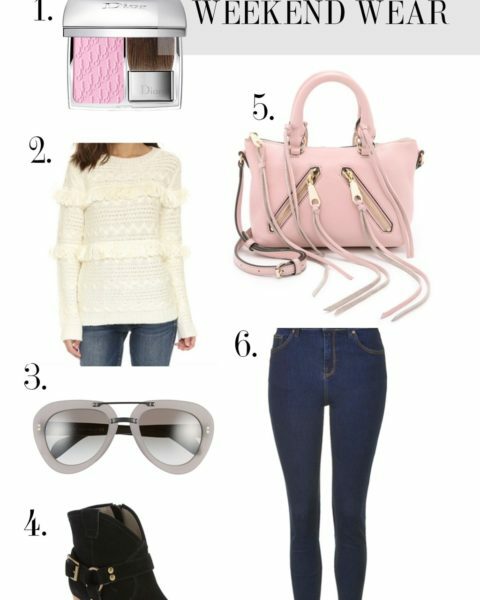 I want ALL of the sweaters, the NARS blush pallet and those boots are to die for! 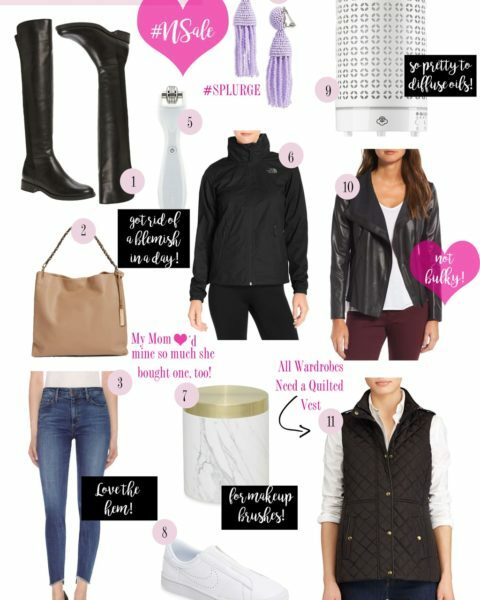 These outfits are making me desperately wish it was fall time already! Its been 105 here in Las Vegas and I am so over it! Loved what you picked up at the sale! 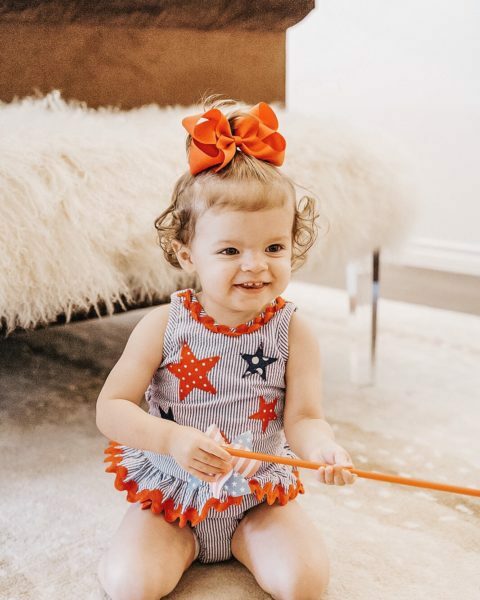 LOVE reading your blog Katey! I always enjoy your posts and the styles you create. What size is the gray sweater that you just posted? I can’t wait for the sale to be open to the public!! So much stuff I have been eyeing for the sale. I want to stock up on Lush tops and maybe some shoes. IDK so many decisions. That cowl neck sweater! So glad I snagged it in camel, and I might have to get black and/or gray too! 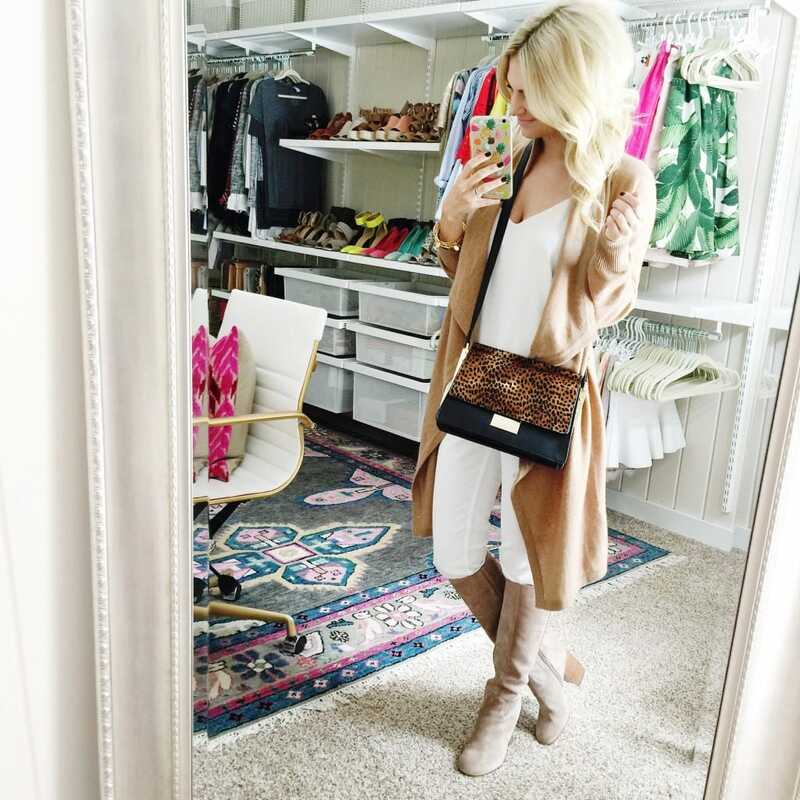 I love all of your picks and agree with you in that boots are always a great sale and staple item! Love this Post!! So helpful to see honest reviews..keep them coming 🙂 Just like @Ore, I look forward each morning to the new COF post of the day. Random question…where is your office chair from…i looked in the post from you office tour and did not see it linked. I LOVE your grey printed rug! So colorfully beautiful! Where is it from? I didn’t see any links in this or past posts. I posted these on snapchat yesterday and got a ton of requests to do a full review on these shoes! Well, let s just say they are worth every penny For sizing, I found these to run big. I normally wear an 8 and had to go down to a 7.5. Highly recommend these booties!